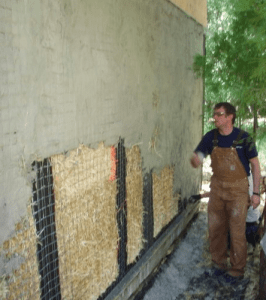 The fire resistance of straw bale walls is a topic of great importance, especially to those who live in wildfire country. 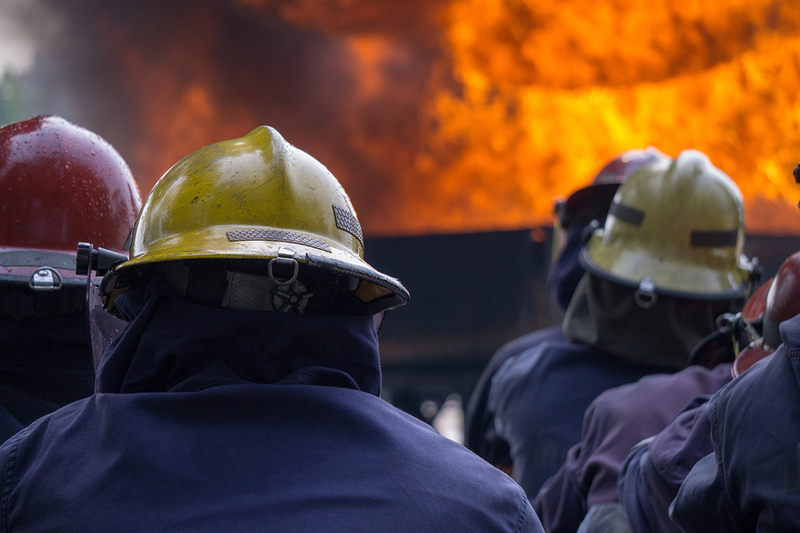 In fact, the fire resistance of any home has become an increasingly popular discussion point in recent years. This as the frequency and intensity of wildfires increases across the United States and around the world. The vast majority of science based evidence points to the fact that our climate is changing. Increased wildfire activity is one example of how that climate change is playing out, and it is a sometimes terrifying reminder that we need to not only do what we can to protect our environment as often and quickly as possible, but also plan for the worst in our long term goals: specifically, how we build our houses. That one question leads me to my point. It may not be entirely about where we build, although I do see the importance of that consideration. Perhaps we need to consider more closely how we build. We know that the fire resistance of straw bale walls is far superior to conventional construction; however, bale homes make up only a small fraction of residential construction around the world. We also know that straw bale homes have excellent resistance to high winds and the damage that comes with hurricanes and tornados. Further, we know that straw bale walls far outperform conventional wall systems in seismic events. We know that bale homes are much more energy efficient than conventional housing. Finally, we know that straw bale walls don’t contain all of the toxins that conventional homes do. The facts are in: straw bale walls are an amazing building material with benefits for almost every location and solutions to almost every natural disaster event we currently live with. So why are straw bale homes not more mainstream? 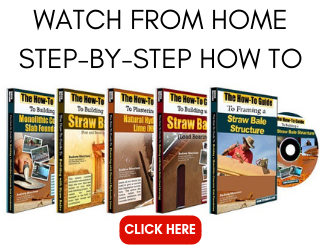 Although the power of the housing industry and trades may be a major sticking point for the advancement of straw bale construction into the mainstream, the answer may in fact be connected to our stubbornness as a species. In general, humans don’t embrace change. We like to live from a place of comfort and understanding. We stick with what we know, for the most part. The problem occurs when sticking with what we know is in opposition to what works. In other words, we KNOW that straw bale homes are more effective at handling natural disasters like wildfires, and yet many choose to stick with what they know about conventional construction: it’s cheap and everyone is doing it. Those are not valid reasons to increase your risk of total loss and even death, no matter how much “cheaper” you think building a conventional home might be. By the way, it’s not actually cheaper in the long run, but that’s a story for another article (CLICK HERE to learn more about straw bale construction costs). In the last two years, nearly 20 million acres of land have been scorched by wildfires. What’s worse is that those fires are moving ever closer, and now even into city centers. According to 2017 statistics from the National Interagency Fire Center, California alone has over 2 million households in “high or extreme risk from wildfires.” That number is based on 2010 census numbers, so is likely far higher now that we look back at it from nearly a decade later. As we continue to build conventional homes out of sticks, the risk to those households will only increase. After all, a stud framed house can be considered a house built with a series of chimneys throughout every wall. The entire fire resistance of the home is dependent on the covering materials: siding, roofing, interior wall finish, etc. The fire resistance of straw bale walls is far superior in that it’s not based solely on the covering materials. The resistance comes from the entire wall assembly. Thick layers of fire resistant plaster cover the walls. Beneath that, the density of the bales provides a secondary layer of defense. The bales are so tightly packed, that flames cannot penetrate them. There simply isn’t enough free oxygen to sustain flame spread. Again, compared to the open stud bays of a conventional home, it’s a night and day difference. It’s like the difference between burning individual pieces of paper and holding a candle to a phone book. The phone book (for those of you old enough to remember what those are!) simply doesn’t have enough space between the pages to provide the oxygen necessary for the burn to take place. The same is true for bale walls. Couple the excellent fire resistance of straw bale walls with intelligent planning and wildfire preparation on the property, and you’ll have a very defensible home. 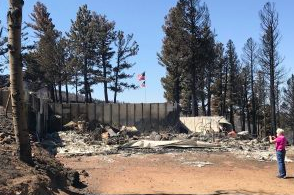 This is to say that, although straw bale walls received very impressive results in ASTM testing, the wall assemblies themselves are not enough to fully protect you from wildfires. 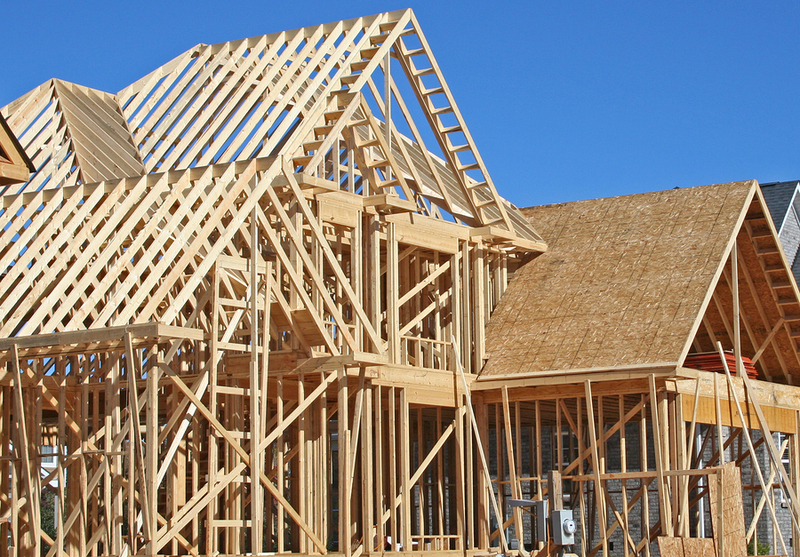 You need to consider your roofing material, roof and foundation ventilation systems, proximity to fuel sources (standing timber, tall grass, wood piles, etc), and other details in order to provide the best results possible. In line with that, why would you go through all of the work to create a defensible space and then build a home of wood sticks and chimneys? To me, that’s putting the weakest link in the middle of a well protected space. The ASTM testing that took place in 2006 to investigate the fire resistance of straw bale walls was a huge step forward for straw bale construction. The results were very impressive, and proved on the national, unbiased stage what we as builders already knew about straw bale construction. You can learn more about those tests by watching the following video produced by our friends at the Ecological Building Network. 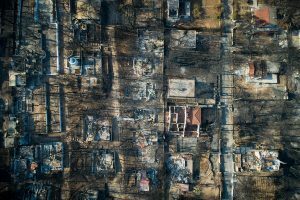 There are, of course other fire resistant options out there, like insulated concrete forms (ICF), but those come with their own challenges to our environment. I would argue that the challenges far outweigh the benefits for the long term goal of a healthy planet. For example, it’s true that concrete has a high level of fire resistance, but it’s also true that concrete is a major contributor to carbon emissions that are negatively impacting the climate. Protecting yourself by using a product that ultimately raises the danger levels by driving climate change is not a viable option in my opinion. We need to build in ways that protect our immediate investment, but also provide a path forward to decreased impacts on the environment. 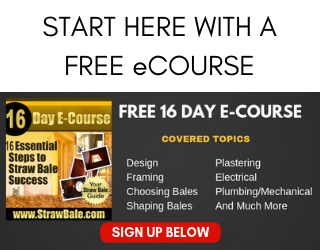 Straw bale construction does just that. I recently wrote about some incredible, field-based evidence of the fire resistance of straw bale walls which I believe is worth sharing again here. 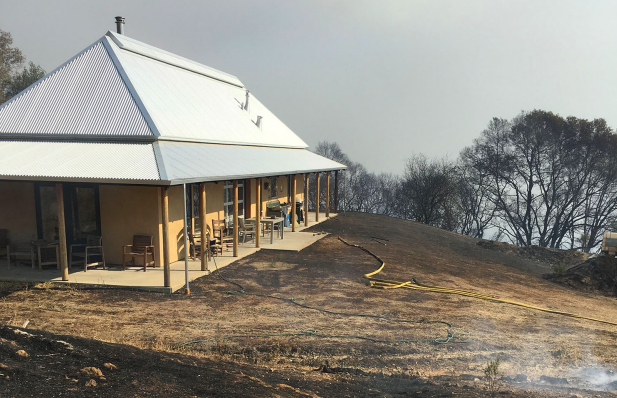 David Arkin of Arkin-Tilt Architects prepared a report for CASBA, the California Straw Builders Association, regarding the North Bay wildfires. 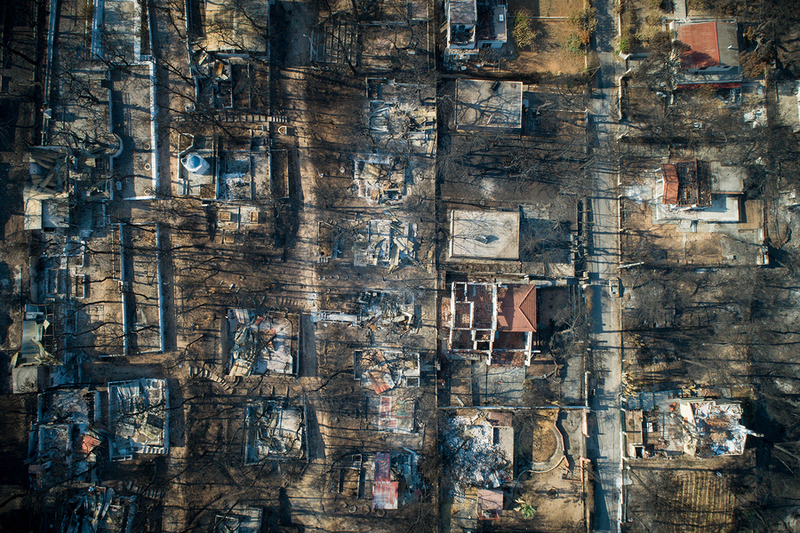 In that report, which you can view HERE, David discusses four case studies and shares photographic evidence of the homes’ performances during the North Bay wildfires. The evidence is once again clear: the fire resistance of straw bale walls is superior to conventional construction. You may or may not be concerned about wildfires in your immediate future. If, however, you plan to build a home in the coming years, I strongly encourage you to consider how the changing climate may ultimately impact your home. Just because you don’t live in a drought-prone area today doesn’t mean that will always be the case. Consider that when most people think about Oregon, they think about rain. Now consider that Oregon is ranked number 7 in wildfire prone states by Verisk Wildfire Risk Analysis. Things are changing, and your best bet is to prepare for that change. Come help rebuild this family’s home in September of 2019. Want to give some first hand help to fire victims? My friend Carie’s parents (72 and 83 years old) lost their home in June of 2018 to one of the largest wildfires ever to hit the state of Colorado. 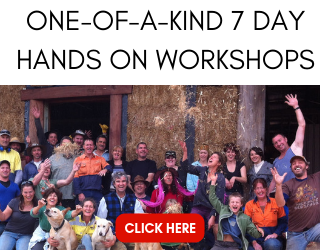 I’ll be teaching a workshop in Fort Garland, CO (September 15- 21, 2019) where we will build them a new, fire resistant STRAW BALE home. You can learn more about the workshop and sign up to help us rebuild this family’s home by clicking HERE. We will need as many hands on deck as possible, so please share the event with your friends and family. Together, we can help ease the pain that comes with the total loss of a wildfire for at least one family.